Counselor positions are available to adults, college students and high school juniors and seniors. 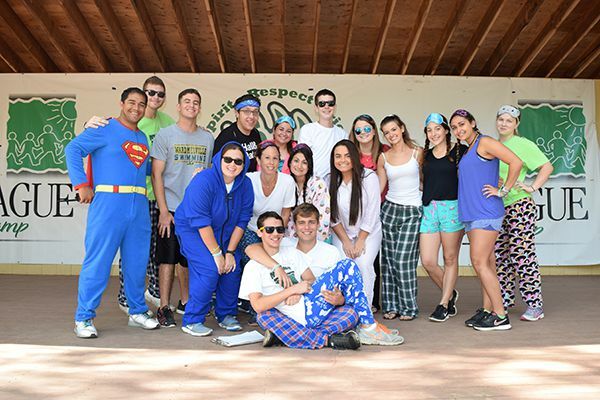 Each year, Ivy League Day Camp seeks out responsible staff who enjoy working with children, are willing to share their talents and are eager to add their energy and enthusiasm to our camp community. Whether you are supervising a group of children, leading an activity or teaching a skill, you will be expected to be present the 39 days that camp is in session. In addition, all staff are required to undergo 2-3 days of training prior to the beginning of the camp season. 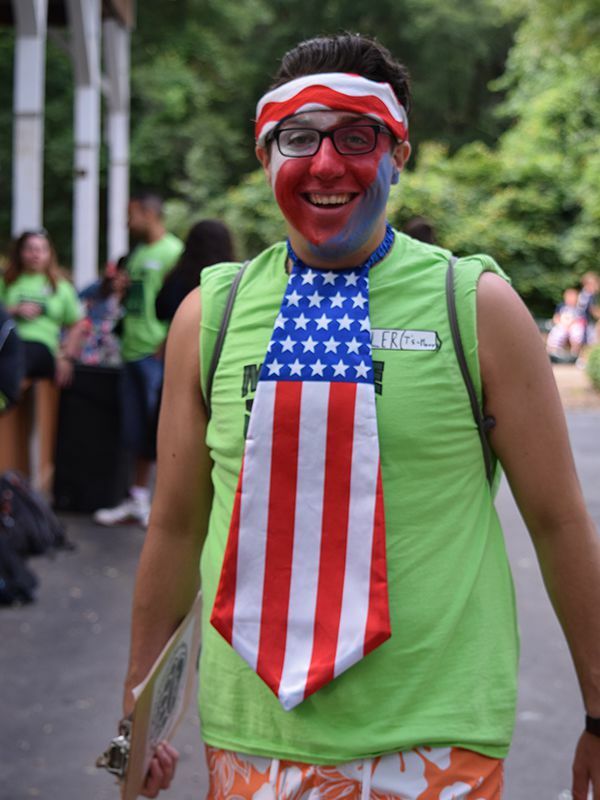 We consider our staff to be a vital part of our camp culture and your participation is essential to the success of Ivy League Day Camp. We are accepting applications for the upcoming camp season from potential staff interested in the positions listed below. Please click on each job title for details about the position. Counselor positions are available to adults, college students and high school juniors and seniors. You will be working under the supervision of a Division Leader and will be assigned to an age group of campers who you will work with throughout the summer. Responsibilities include: leading each camper from activity to activity, assisting specialists, participating in activities, being in the water to assist the swim instructors, ensuring the safety and well being of the campers, having fun and helping to build each camper’s self esteem. Counselors are also expected to act as role models by participating in activities, motivating their campers and helping them build strong bonds with the group and you as their leader. Travel counselor positions are available to college students and teachers who are at least 21 or entering their senior year of college. Successful candidates should possess strong leadership skills and an interest in working with teenagers. Responsibilities include those listed above (see Counselors) in addition to overnight travel for 2-5 days at a time. Lifeguard applicants must be 16 years or older and have up-to-date certifications in CPR, Life Guard Training and First Aid. WSI certification a plus. In addition to guarding, lifeguards are asked to be in the water teaching campers swim instruction that follow Red Cross guidelines. Specialist applicants should have good management skills and be able to work closely and collaboratively with Ivy League’s Leadership Team. Specialists are required to participate in additional staff training offered prior to the beginning of camp. Specialists are expected to build campers skills, organize tournaments, offer special clubs, electives and clinics and add to the camp community by sharing their passion for their specialties with children. Art specialists should have extensive experience in teaching in the creative & performing arts activity for which they are applying. Arts specialist aim to expand the campers’ interest and appreciation for the arts. When interviewing, please come prepared with ideas on what you could contribute or a portfolio of your past projects that you have taught. Sports Specialists are coaches and educators with experience in coaching or teaching in the sport for which they are applying. Applicants should possess the ability to help campers gain confidence in their athletic skills and abilities. Archery, art studio, baseball, basketball, ceramics, cooking, dance, drawing, go-carts, golf, gymnastics, high and low ropes, horseback riding, hockey, leather, lifeguarding, music, nature, painting, photography, rock wall, sky bounce, soccer, softball, tennis, theater, wood working, yoga, etc. At Ivy League, we hire all of our own bus drivers to drive our mini buses. All drivers must possess a valid CDL (Commercial Driver’s License) or 19-A. In addition to the traditional camp positions listed above, each summer Ivy League hires many other staff to round out our team. For more information about a specific employment opportunity, please call the camp office at (631) 265-4177. All applicants should complete and submit the online application. Should your qualifications match current openings, you will be contacted for an interview. Please come to your interview prepared with your immunization records, certification cards, and social security number. Thank you for your interest.